LEAF have announced the theme for 2018 will be The Great British Farm Day. Registrations for Open Farm Sunday 2018 are set to open on next week (November 1) with a new theme: The Great British Farm Day. The event will run on June 10 next year with a promise from organiser Linking Environment and Farming (LEAF) to boost the support offered to its host farmers with a simplified website and resource ordering system, peer-to-peer support through social media and a revised host farmer handbook. Annabel Shackleton, LEAF Open Farm Sunday manager said: “LEAF Open Farm Sunday unites the whole British farming industry and is a key date in the farming calendar so we are officially making it The Great British Farm Day. “It offers farmers a fantastic opportunity to welcome people onto farms to discover real farming at first hand and see for themselves how their food – and much more besides – is produced. Would you like to become an Open Farm Sunday host? 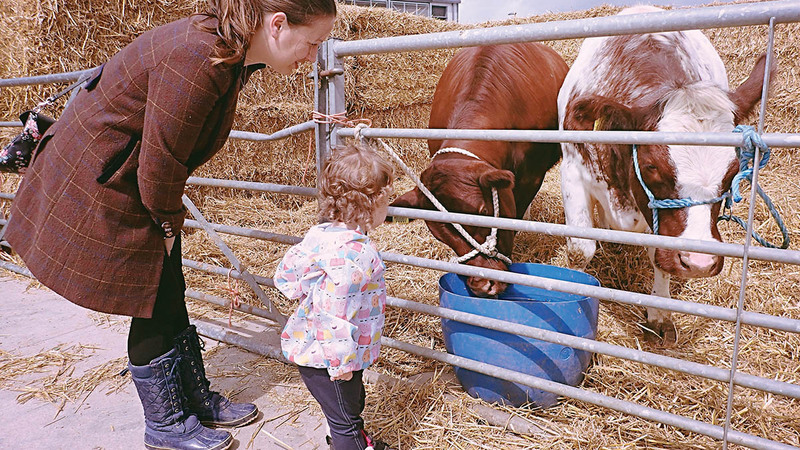 Since the start of Open Farm Sunday, more than two million people have visited a farm, with 273,000 attending last year alone. One in five visitors attended a farm for the first time and 86 per cent admitted they had learnt something new. In 2017 the event also raised more than £80,000 for charities such as LEAF, Air Ambulance, RABI, cancer charities and local schools and churches.